The Museum of Modern Art is buying the building of the struggling American Folk Art Museum on West 53rd Street, officials said Tuesday. The folk art museum will continue to operate in its much smaller Lincoln Square branch. The building to be bought is between MoMA and a vacant lot that MoMA sold in 2007 to the developer Hines. The 2007 sale came with an agreement that Hines would construct a building on the lot connecting internally to MoMA on the north side of the block and provide additional gallery space. Although there are no current plans for Hines to develop, MoMA ultimately planned to expand in that direction, MoMA’s director, Glenn Lowry, said. He said owning the folk museum’s building would allow it to connect its galleries on both sides of the block. The folk art museum’s building was designed by Tod Williams Billie Tsien Architects and opened in 2001. It was not clear whether it would be torn down. 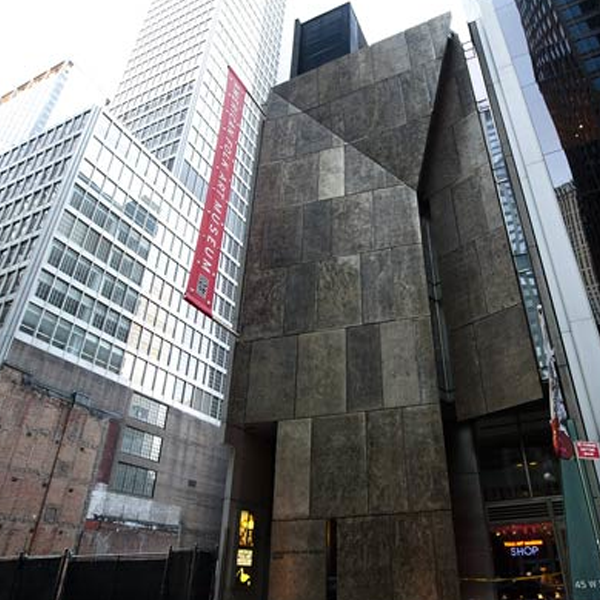 The folk art museum took on $32 million of debt to construct the 53rd Street building. But attendance never met expectations, and after sustaining investment losses in the financial crisis, the museum defaulted on its debt. Neither museum would say what MoMA was paying for the building, but the folk art museum’s chairman, Laura Parsons, said it was enough to retire the museum’s debt. The folk art museum pays $1 a year in rent for its Lincoln Square space, which is only 5,000 square feet, one-sixth the size of the building it is selling. Ms. Parsons said the folk art museum might put on shows in other locations in the city or put parts of its collection on tour. Ms. Parsons said she could not say how many of the museum’s staff members would be laid off. She said there was no deadline for vacating the building and that, for now, it would stay open. A version of this article appeared in print on May 11, 2011, on page A22 of the New York edition with the headline: MoMA to Buy Building Used By Museum Of Folk Art.